This is a quick tip that I wanted to give you because it is top of mind coming off my vacation. Remember my tip about using scented dryer sheets in your clean clothes when you pack so that once you start filling up your dirty clothes bag you can throw it in so your suitcase doesn’t smell bad? Well I did that, not the problem. The thing I wished I had better prepared for was to have the appropriate amount of laundry bags. You should have one laundry bag for every suitcase you bring. That way you can balance your return load. The clothes are just as heavy coming back as they were coming over and you should split the weight between your bags. My husband and I each brought two suitcases for a total of four, not because we packed a lot of items, but rather we were going to bring stuff back. We only brought two laundry bags and it made the re-packing to go home a little bit uneven for the return. We ended up using dry cleaning bags from the hotel but they are (a) plastic so not cool environmentally and (b) small so we needed several of them. Just something to think about and plan for when you are packing, particularly for a long trip. How about you? Got any other packing strategies you want to share? I’ve been using the same red mesh laundry bag for years, works great for me. Though I usually only bring one bag with me. Definitely some wise advice for bringing along 1 laundry bag per bag because trying to guess the weight of your bags in the hotel is the worst. That’s really great advise! I love the Longchamp La Pliage series of bags. They come in various sizes, and fold up easily. It saves you the hassle of lugging an empty suitcase on the journey over. I never travel without them. @FashionableTraveler, I always travel with those too for “overage”! @Pat, Yeah I’ve heard of those, sound like a worthy little investment. Think your average travel store will carry them? Travel store probably would, but you can also get them at a drug store or Target for much cheaper. 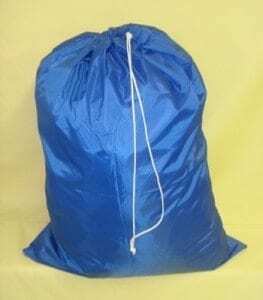 If you are looking for laundry bags of all shapes, styles and sizes visit LaundryBag.com.